A while ago I asked Joe a question I’m sure all booze lovers ask themselves at least once: if you were stranded on a desert island and could only drink one spirit for the rest of your life, which would it be? After a while of careful consideration, Joe responded “rum”. I think we may have found that desert island’s bar. Rumba, a rum bar, in Seattle is an excellent bar, focused on serving choice rum-oriented cocktails. Located on Capital Hill, in downtown Seattle, Rumba offers great tiki drinks, punches, daiquiris, and authentic island-style drinks, as well as an impressive selection of rums. 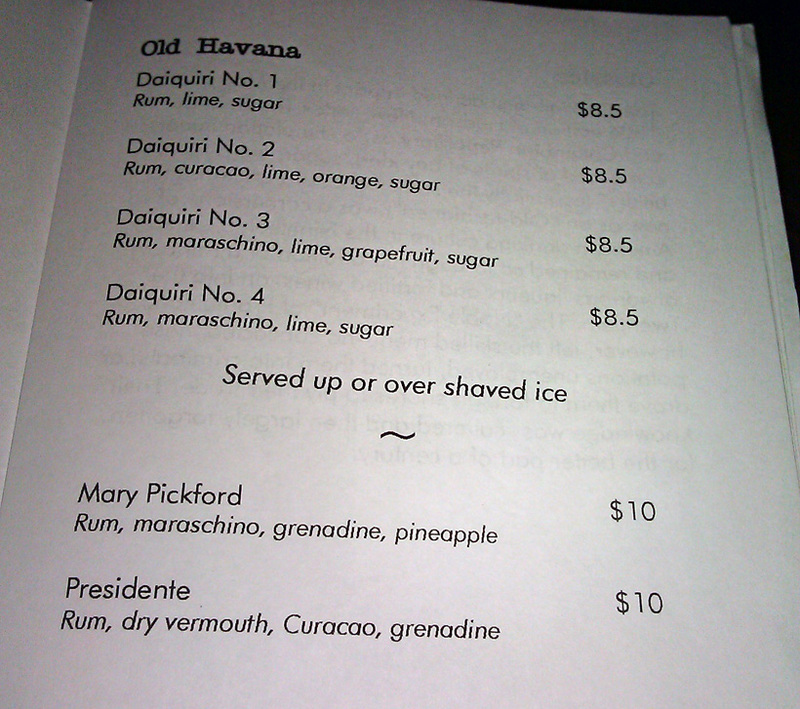 Not only do they mix a mean drink, but they also offer some tasty, cuban-inspired food. 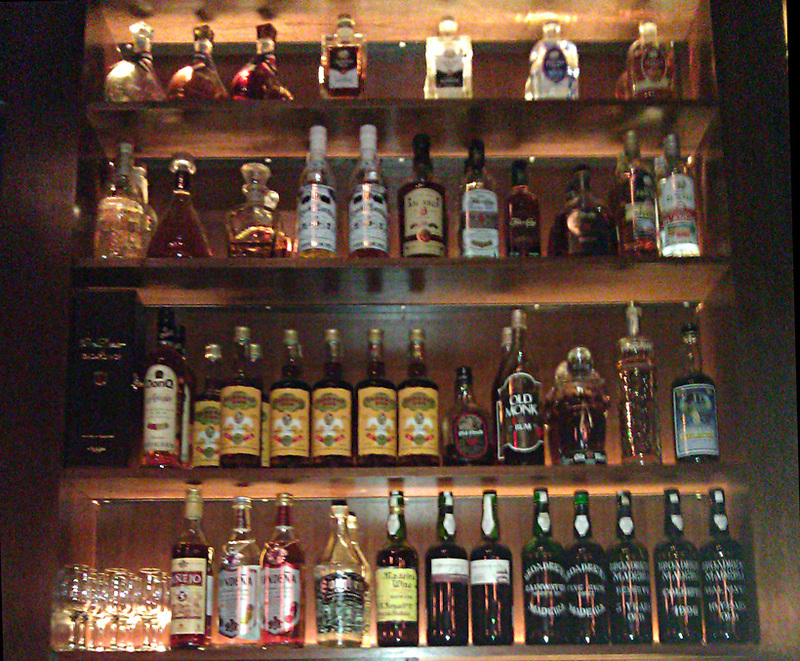 The first thing you notice at Rumba is their vast rum selection, which fills most of their backbar. In fact, Joe and I weren’t even sure if they had other spirits in the bar, but, of course, they did. Rum is certainly at the heart of Rumba, but they are a cocktail bar, after all. But back to the rum. It’s why you go there. Their menu of rum is even organized geographically, so you can try rums from different parts of the globe, if you so desire. I ordered a taste of Angostura 1824, which was great; spicier than their 1919 rum, with some fruity notes. Their array of daiquiris was delightful, and I think Joe ordered the No. 3 variation for his first round. 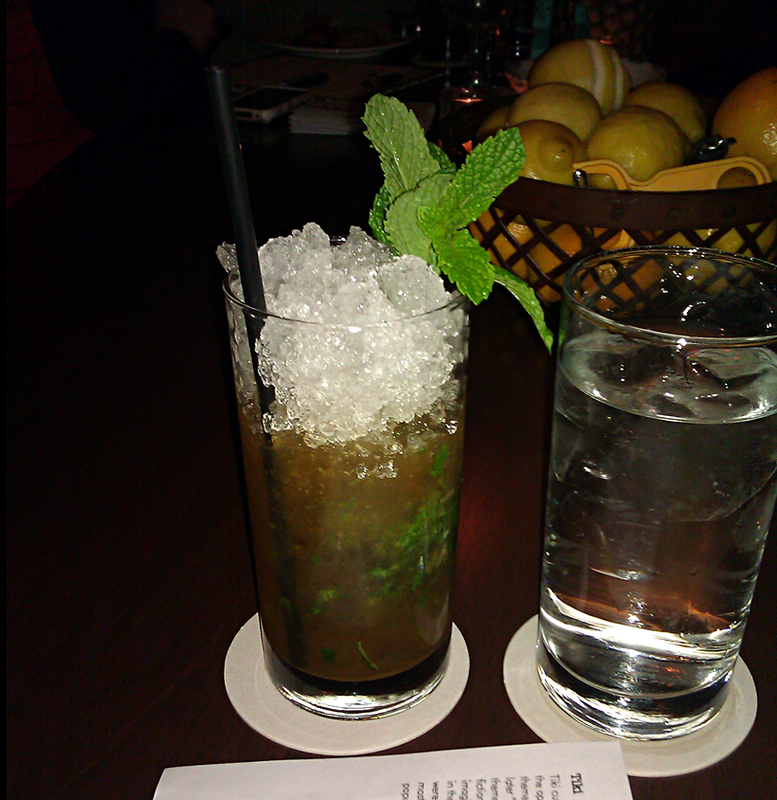 As for myself, I ordered the Queen’s Park Swizzile: Lemonhart 151, bitters, lime, mint, and sugar. For my second round I went tiki, and ordered a Port Antonio: rum, coffee liqueur, falernum, and lime. 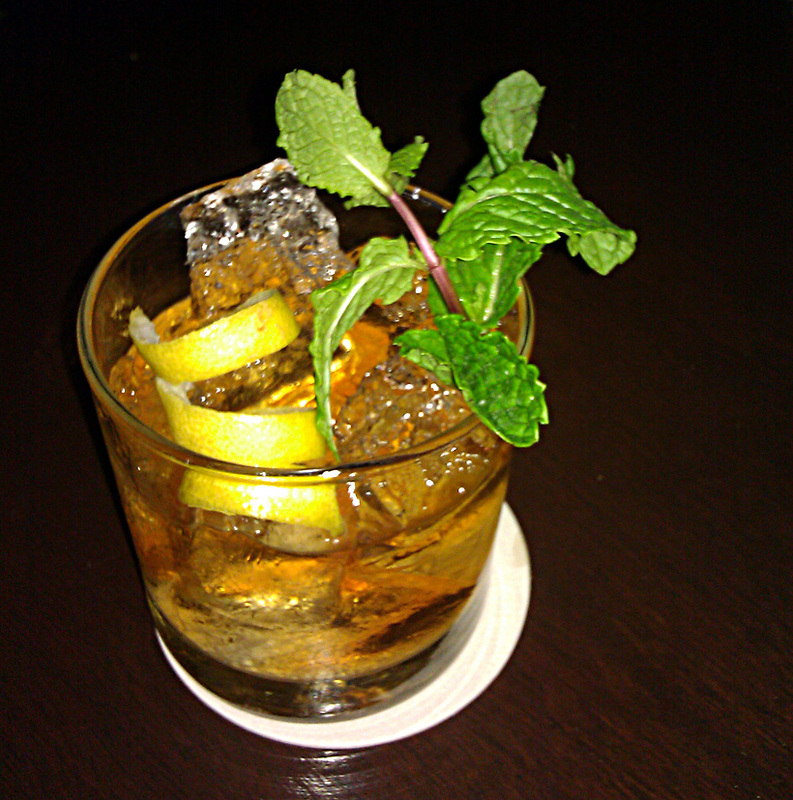 The drinks were all top-notch, skillfully prepared by the bartender, who was a great conversationist and very attentive. I’ve been back a few times since Joe and I first went, and they’ve consistently impressed me with their drinks, food, and service. It has quickly become one of my favorite bars. As the evening came to an end, we needed some snacks to help absorb some of that alcohol, so Joe and I split an order of empanadas. I’ve also had their cuban-style rice and beans, and chicken wings, which are marinated in hibiscus and served with a side of fried yucca chips. The food at Rubma is as legit as their drinks, so make sure to order a bite to eat while you’re there. If you’re a fan of rum and you’re in Seattle, you’d be silly if you didn’t make your way to Rumba. Their enormous rum selection, exciting and exotic drinks menu, and delicious food make this place one of the best bars on Capital Hill, and definitely one of my favorite bars in Seattle. Categories: excursions | Tags: alcohol, bars, bartending, booze, cocktail, cocktails, drinking, drinks, mixing, mixology, punch, rum, rumba, seattle, tiki | Permalink. Although The Rum Barrel in Key West serves all manner of drinks, it hosts more than 100 different rums. The Rumba sounds like it has the second most comfortable seat to sit in in these 50 states. However, unfortunately, I live in the middle. Now I know where to go on either coast. Thanks for spreading the good news.